Ngāi Tahu have a long history of use of native plants. Native plants have been part of the social and economic base of Ngāi Tahu providing food, textiles, and medicines for use and trade. International ornamental flower markets are always looking for new and novel plants. New Zealand’s unique indigenous flora offers opportunities for the development of novel ornamental plants. One of these is the novel colours and forms of the native gentian species. Hokonui Rūnaka with the support of Te Rūnanga o Ngāi Tahu and in conjunction with Plant and Food Research are researching our native Gentianella species with a view to developing new plant cultivars for the international market. New Zealand has approximately 30 species of gentian (Gentianella species) found throughout the mainland and subantarctic islands. New Zealand gentians are varied and among the species are many characteristics desirable to the flower industry, e.g. coloured flowers, good post-harvest life, long stems and dwarf forms. 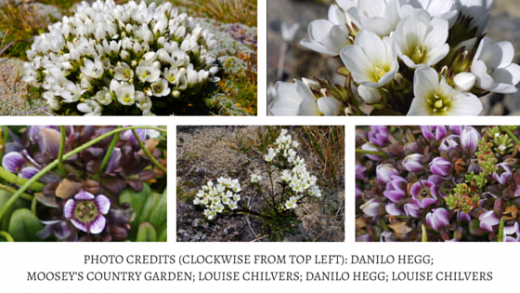 The project will establish a collection of NZ indigenous Gentianella species, from which to develop hybrids. In investigating and developing opportunities to hybridize between different species of Gentianella, a better understanding of evolutionary relationships between indigenous Gentianella will be developed.